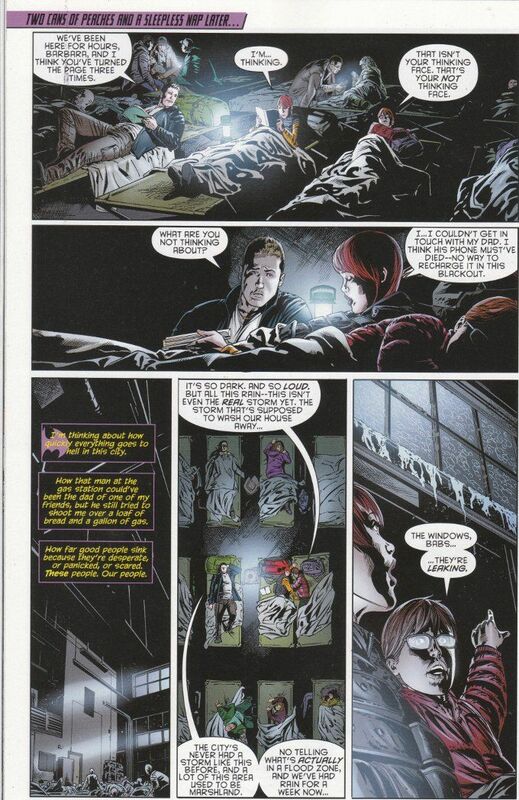 Batgirl #25 sees Gail Simone taking a break as Marguerite Bennett (most recently seen on Batman Annual #2) takes over the book to tell the tale of what Barbara Gordon did during the event known as Zero Year. 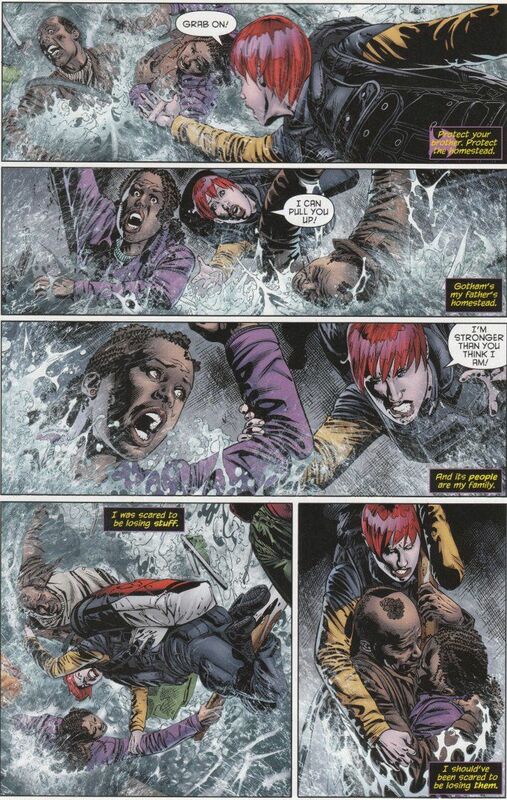 The action focuses on Barbara as she and her brother are forced to evacuate their home during a fearsome hurricane and find themselves in dire straits. Naturally Barbara discovers an inner strength she didn't know she had and - realizing no one is coming to save her - becomes the hero she and her city need. Bennett's script is a strong one that goes beyond displaying Barbara's spirit perfectly. The action depicted here is truly thrilling and especially powerful in the wake of the recent typhoon in the Philippines. Indeed, I would go so far as to say that this issue better captures the terror of flash flooding and the heroism of ordinary people in the face of disaster than this year's earlier Hawkeye issue devoted towards the Hurricane Sandy disaster. Fernando Pasarin and Jonathan Glapion do their usual stellar job on the artwork. The action of the script doesn't let up for a moment and Pasarin's pencils perfectly capture the intensity of Bennett's script. Glapion's inks find the perfect balance between shade and saturation, creating deep shadows as appropriate to the story while leaving the original pencils clearly exposed throughout much of the issue. Should it come to pass that Gail Simone should ever leave Batgirl, I think this issue proves Marguerite Bennett would be a worthy successor on the scripting duties. This issue, while a diversion from the larger story of Batgirl at the moment, is not an unwelcome one. Indeed, it's a good issue to start with if one hasn't been reading this book and is looking for an entry point.